There are really many available platforms to help you build your websites such as WordPress, Godaddy and Wix . In my opinion, the best one is WordPress. It’s very easy to use with many wonderful themes and plugins. You will find step by step of how to use every thing. As a beginner, I suggest you use WordPress because it is flexible, powerful and easy to use. 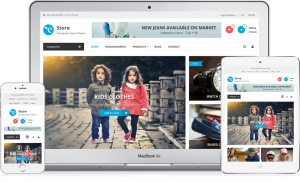 WordPress is used by some of the big brands in the world such as CNN, CBS New York, Harvard Business Review, Boise State University, New York Times and Mercedes-Benz. During my journey in online business, I tried many different hosting. The best one that works easily and efficiently is Wealthy Affiliate. If you build your website through Wealthy Affiliate, then you will have assistance anytime when building your website and after that. Whether you are beginner or you have experience, Wealthy Affiliate is made for you. 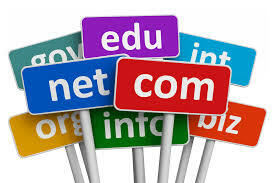 You could easily choose a domain and buy it from Wealthy Affiliate. And so on for other different niches. 4- Choose a theme for your website. There are many wonderful themes that you could choose from WordPress such as Elagacy, Heeey, Imperion, Tyche and many more free themes. You should choose a theme according to your niche. If your niche is art or music then there are some themes suitable for them. And if it is about education, there are themes prepared to match this topic and so on and so forth. After you have downloaded your theme, You can customize it by clicking on customize from the appearance menu. Here you are able to change the setting of your website by creating a menu and widgets. You could also change the setting after you add some contents to your website. 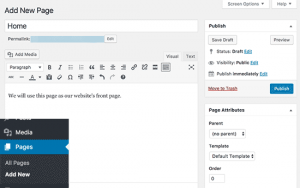 5- Add Content to your website. I like how you broke it down into 5 easy steps, making the way to start your own website so simple. Thanks for your nice comment. Yes true, Wealthy affiliate has many features. I use to have a website with Godaddy but I moved it here so as not to pay for different companies. I like WordPress the most. Wishing you great success. I was a bit nervous about switching my host to wealthy affiliate, but it was seamless. They walked me through the process and my website has been doing well! They even measure the amount of trust that Google places in it! That’s great dear Melinda. I was the same when moving one of my three websites here. The support of Wealthy helped me a lot.. they are superb. I established My other two websites here at WA. I wish you great success in your business! Hi Rania, this article is really good. I love how you incorporated information about leading businesses that are using WordPress. It shows how trustworhty their services are. It is also great that you indicated previous experiences with other hosting sites. Sharing a example of what to expect when trying to decide on a niche name was really good as well. Your articles are very well written and personable. Thanks for the comment dear ververly.. Yes we learn from our experiences a lot. My experience with other hosting companies makes me realize that Wealthy Affiliate which uses WordPress is the best and the easiest and even the cheapest. All the best in your business! I really enjoyed this post about WordPress and Wealthy Affiliate. I have used WordPress and have found it so easy to use and it makes setting up a website so simple even for people who don’t possess amazing computer skills. I like the amount of varied themes they have as well it means you can find a suitable theme whatever your niche. Thanks Andy for your nice words. Yes WordPress is easy to use and has free themes for every niche. Wishing you great success in your business. Great instructions. I liked that you included the big brands that use WordPress. 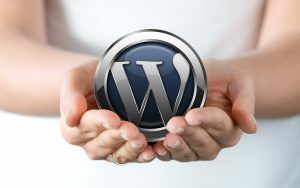 It helped me see that WordPress is used by major outlets and lends credibility to it. Personally, I use WordPress and love it. Thanks for the post. Thanks a lot for your lovely comment. I really appreciate your times and effort. Wishing you great success! I am very happy to hear that my article was beneficial. You really make my day with your lovely words. I hope we could keep in touch to exchange thoughts and ideas and benefit from each other. A useful post, your steps are easy to understand and the video make it easier! Thank you very much Rania. Thanks a lot for reading my post and also for your nice comment. Thanks for having a tour in my website.. All the best! It was very beneficial to read this article. You have explained it step by step and beginners will get use of this information who building their website. Wishing you great success. Thank you Frank for your sweet words. You make my day!